If your Device is not Jailbroken then, This post is not for you. This post is very important for all newbie jailbreakers there, It doesnt matter you have iPhone or iPod touch, Latest Generation or Old device. If you've Jailbreaked you iDevice then all you need is these 12 cydia sources to make your device as awesome as you dreamed..
Get All latest tweaks, apps, themes etc. These are the 12 ruling sources and I recommend these to all jailbreakers who've just started. This one is my personal favorite repository, The sinful iPhone repository offers amazing apps, themes etc. They also have a large variety of Cracked apps and stuff. I believe this is one of the best repo and I recommend this to you all. This is another Must have repository, Amazing Stuff. If you want Push notifications on your jailbreaked iPhone then this is the only Free and working solution available, With Awesome app like Push Doctor. If you want to Backup you Certs files for future use to enable Push notifications This Repo also offers apps like nimble and inject, which will help you extract and inject certs. This one will change you device forever, you'll never look back at orignal iOS 3.1.3, This repo has such tweaks and apps, enough to poke new life in you old devices like iPhone 2G/3G and iPod touch 1G/2G. Its better if you install whited00r firmware but if you don't you can still get tweaks to enable Homescreen wallpaper, MMS, Multitasking, Folders, Character counter, Autofoucs mod etc. So This one is a Must have. This Repo is a great place for cracked apps, if you don't prefer buying app then you can find them for free here (But i prefer that you should buy, because it takes very hard work for developers to create them, so they should get what they deserve). But Still this is an excellent repository. Amazing apps, Amazing themes, Amazing stuff and Amazing Repository. Just like Hackstor and Sinfuliphone, This repository also offers Amazing Cracked apps. Just Add it and see, it has lots of apps, it also offers Cracked stuff. A Great name in the world of Cydia, A Great Place in world of iPhone Apps. Last but not the least, This list was incomplete without this one. If you have all of these repositories installed in you iPhone, I don't think you need anything else. There are lots of sources, These are some of my personal favorites. Others sources like BigBoss repo is pre-installed with Cydia. My Favorite Daily Use iPhone apps. 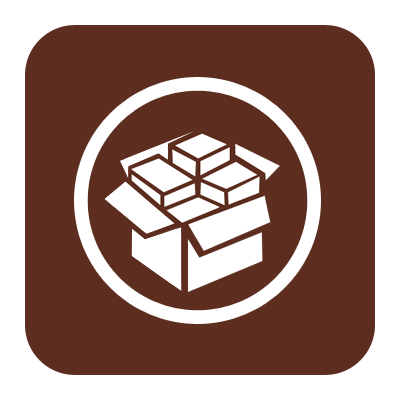 Top 10 Cydia Tweaks you must have.